Canadian enterprise information management vendor OpenText has agreed to buy Dell Technologies' EMC enterprise content division for US$1.62 billion in a deal that, the companies say, will allow them to focus on their core missions. The acquisition of the "highly profitable" Dell EMC Enterprise Content Division will allow OpenText to expand its related services to Asia and Africa and across a larger customer base, including the healthcare and oil production industries, said OpenText CEO and CTO Mark Barrenechea. The deal will strengthen OpenText's position" in enterprise content management, which helps large businesses organize and store documents, in information archiving, and in cloud content and collaboration, he added. The acquisition will also give OpenText "a profitable business of some of the industry's best enterprise content and document management solutions, along with satisfied, medium- to large-size company customers," Charles King, principal analyst at Pund-IT, said by email. "That's the kind of business you can build on." OpenText has been on an acquisition spree in recent months, and the new pieces may present some integration challenges, King added. "That said, if OpenText makes this work -- and I believe it will -- it will become a major player in the document/content management space with numerous opportunities to expand that business," he added. Meanwhile, the deal will allow Dell to shed a profitable, but noncore, business unit and potentially pay down some of the debt it took on in its recent $67 billion acquisition of EMC, said Melissa Webster, vice president for content and digital media technologies at IDC. "OpenText is sort of the natural acquirer for enterprise content management and related offerings where a vendor wants to change strategy and divest," Webster said. 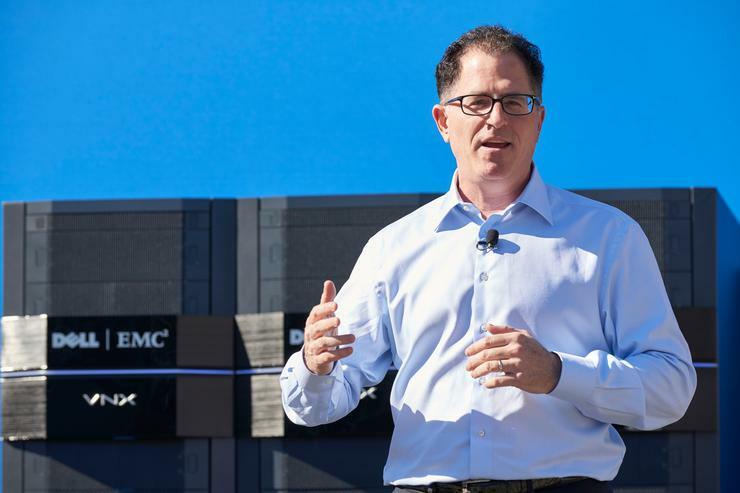 The deal allows Dell and EMC to "refocus where their true DNA lies." OpenText, founded in 1991 and based in Waterloo, Ontario, has acquired a series of companies over the past decade. The company, with $1.9 billion in revenue in 2015, bought Recommind, a provider of e-discovery and information analytics tools, in July, and it closed a deal for HP's customer communications management assets in early August. In May, OpenText completed a deal for another piece of HP, some customer experience software assets. "OpenText made a decision years ago that it was either get big or get bought," Webster said. "This company has grown through acquisition for 10 years. They're very practiced acquirers." The Dell deal brings EMC's Documentum, InfoArchive, and LEAP product families to OpenText. It gives OpenText a stronger enterprise capture product than the company's own product and a new customer communications management product, Webster said. EMC's LEAP, a public cloud content platform, may be the most "interesting piece" going forward, even though it's not yet a huge money-maker, she added. LEAP is "a next-generation content platform based on an extensive set of microservices," she said. "It's a much bigger vision that OpenText has had for public cloud."